Last edited by Ryan 21 Jun 2018 10:15.
i fail to execute step 1 , where i ask to finish my issue ? The lab exam got three scenario so i just choose either one or must complete all three ? Why sangfor hands on lab video cannot play ? there are total 5 scenarios right ? it seems that i cannot access to scenario 2,3,4 or 5 without completing scenario 1.
the question is how to complete the scenario 1 ? the instruction not clear and it seem i cannot access to IAM web gui already inside scenario 1. 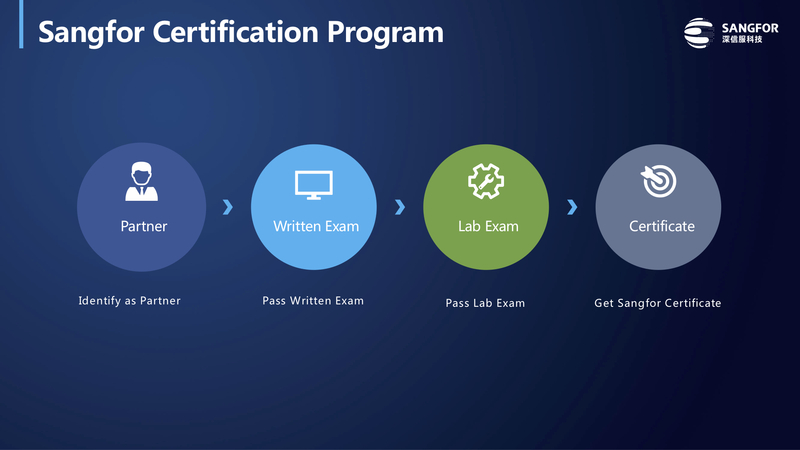 If you get passed the Exam, where is to download the e-certificate? Hello, i already take exam at demo.sangfor.com, and passed. i want to take Lab exam in here, but need to pass written test. so can i transfer written test from demo.sangfor.com to here.? i want to ask, to get a certificate is there a fee? I cannot register for NGAF Lab Exam. it prompt me a message "you can only book the labs exam after you have passed the written exam"
For your information, i have passed the NGAF written exam. i have double check with the exam history on the system it is showing me passed "Yes" as well.